Put Them On And Strut With Confidence! 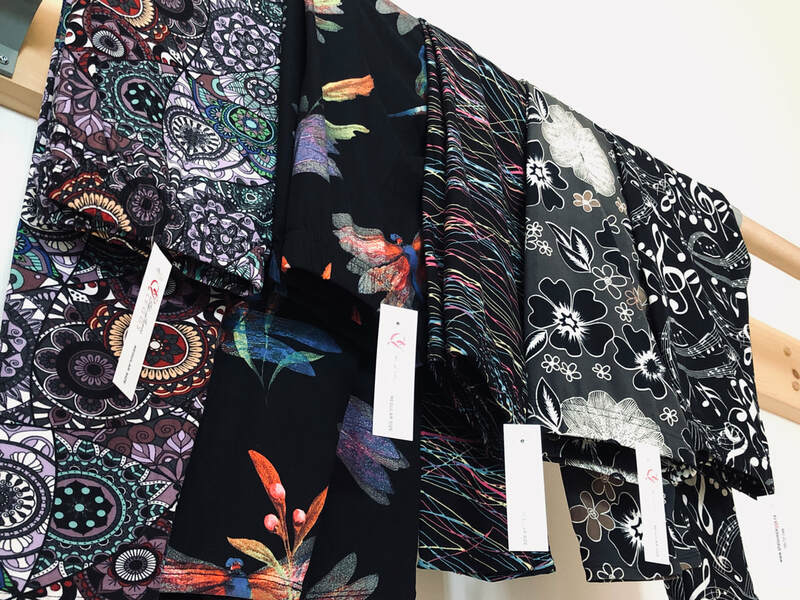 She Loves Leggs super, comfy leggings are very versatile and come in a wide variety of amazing designs and patterns. They are great for yoga, working out, lounging and day to day living! We are sure that once you own and wear a pair – you won’t be able to have ‘just one’! She Loves Leggs Leggings are made from a mixture of 92% Brushed Polyester and 8% Spandex. The brushed polyester gives our leggings the ultra soft feel, and the spandex portion allows them to stretch out and not lose their shape. There is no cotton in our She Loves Leggings which is why they will not shrink or stretch out of shape when worn. Our leggings are high-waisted and non-see thru and conform to your body shape. They stretch out and are full length whether you are 5’2 inches or 5’9 inches. Word has it that you feel ‘naked’ when wearing them and are super comfortable, whether you are working out, doing yoga, lounging around the cottage for the weekend or out with friends for lunch. Many women find these so amazingly comfortable that they wear them to sleep in also as they find that the waist isn’t binding and doesn’t feel tight after wearing them for a long duration. It is recommended that your Leggings be machine washed and then hung to dry. The material is incredibly soft and will not pill, shrink, fade or lose its colour. If you happen to toss these beauties in the dryer the odd time, they will not damage, however, being tossed in the dryer constantly may make the spandex break down over time. Our leggings literally dry within ten minutes of being taken out of the washing machine and are best when hung on a drying rack after washing. Please visit the studio (by appointment) or our online store to view our current selection. We have Regular (size 2-12) and Plus Sizes (size 14-18) available. X-Large options can be special ordered, email us for details. Shipping is not available, online orders can be picked up at the studio at your convenience by appointment or before the start of your next class! There are no refunds, exchange only within 10 days with tags attached. 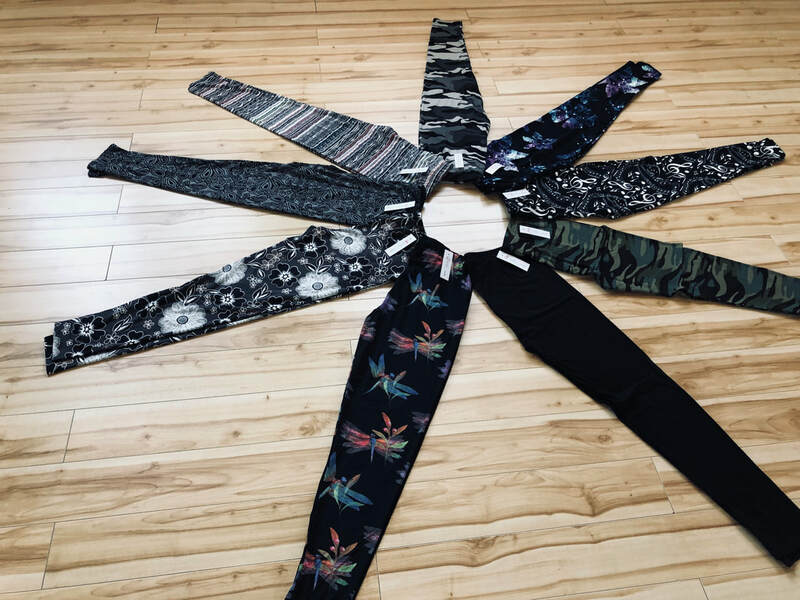 Once you wear a pair, you will definitely not be able to stop at just one pair and your legging addiction will soon overtake you so that you will want to have a different pair for everyday of the week! Come by the studio or shop online to get your legging fix today!